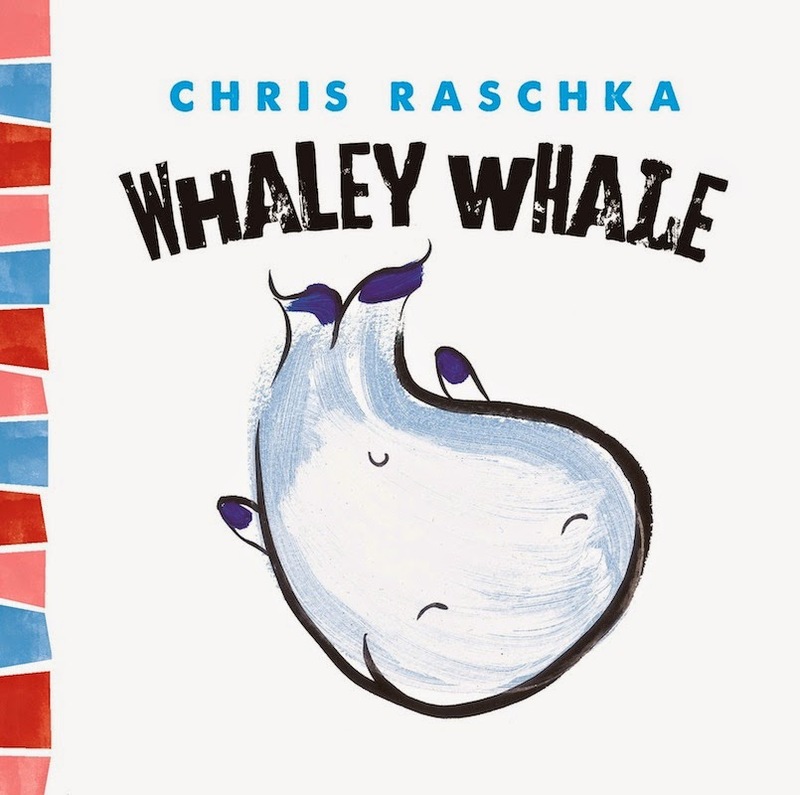 Back in 2000 Caldecott Medalist Chris Raschka published eight Thingy Thing books that eventually went out of print in 2006. Now abrams appleseed has revived the series and plans to publish four new Thingy Things books! 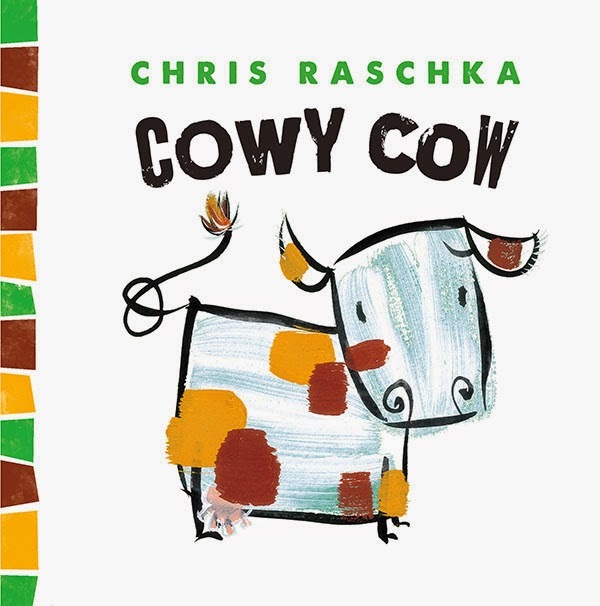 Raschka originally conceived the series for his son, now a college freshman, when he was three. As Cecily Kaiser, publishing director of abrams appleseed, and the person responsible for bringing these books back into print believes, the appeal of the books is rooted in Raschka's ability to tap into toddlers' personalities and proclivities. Of the series, she says, "At first the books seem inventively random, and I think that's what makes them funny to adults. But as I began working with them, I realized that they are not at all random, but very methodical. Chris expertly homed in on what makes toddlers tick, and they immediately get it." abrams appleseed printed the series on thicker paper, increased the trim size a bit and freshened up the covers for the reprints. In Crabby Crab, our disgruntled hero has powerful claws, but wants fingers instead. He finds his "eight beautiful legs" ridiculous. Crabby Crab only walks sideways, but he wishes he could walk straight instead. 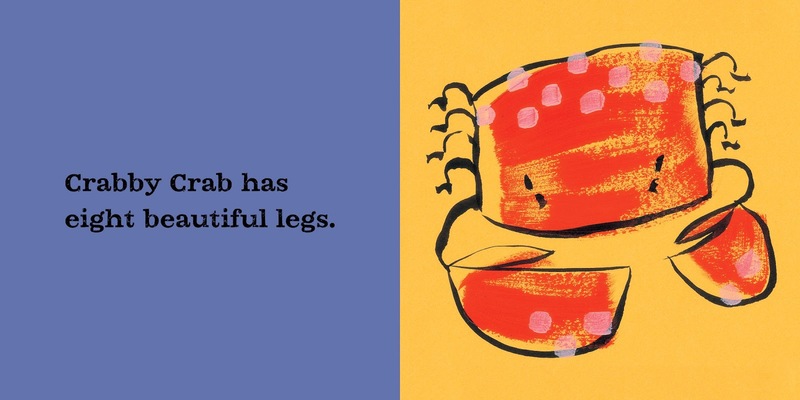 The book with the words, "Crabby Crab, we love you just the way you are. Even when you're crabby! Crabby Crab!" The message, "we love you just the way you are," will not be lost on parents, and toddlers might even catch on. 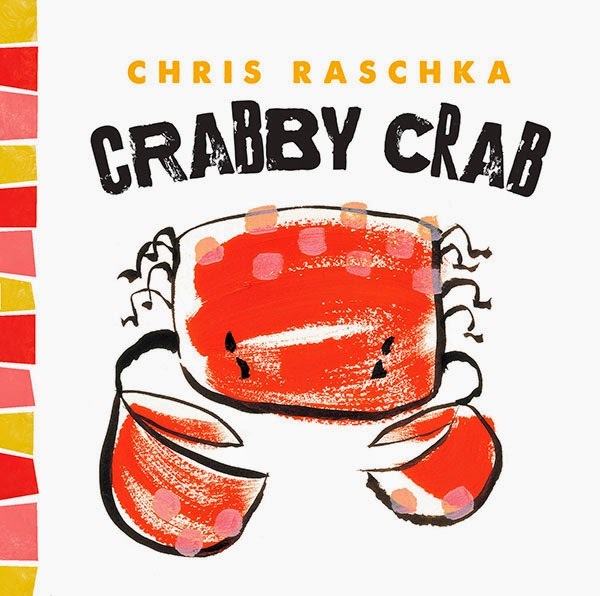 Raschka's illustrations are simple but expressive and even make you feel a little empathy for Crabby Crab. Cowy Cow begins, "Cowy Cow has one hundred ideas. Here are some of her ideas." 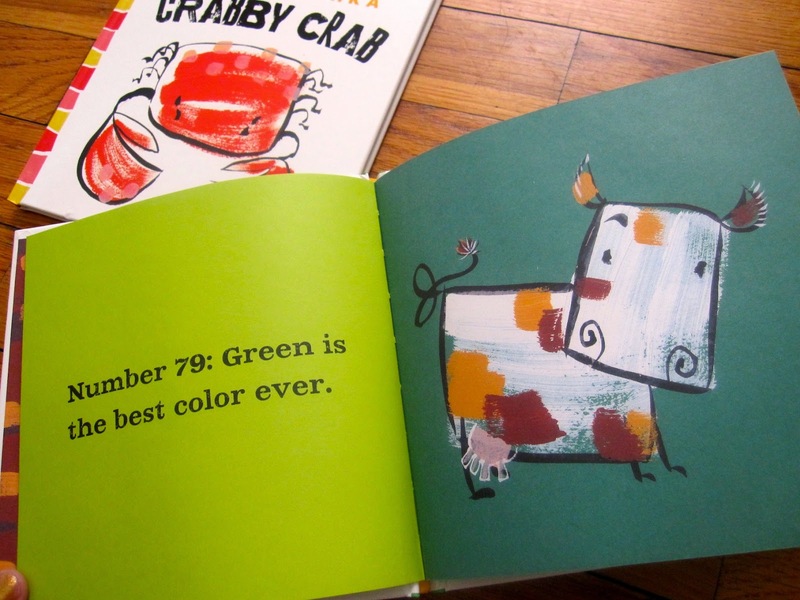 We only get two of her ideas, #79: Green is the best color ever, and the other, which comprises the joke of the book, is best read fresh. But, it's pretty silly and sure to elicit laughs, especially Cowy Cow's expression. Like Crabby Crab, Cowy Cow ends on a sweet note. I missed the Thingy Thing series the first time around, and I can't wait to get my hands on the rest of this series, new titles and old, and read them to some little ones! 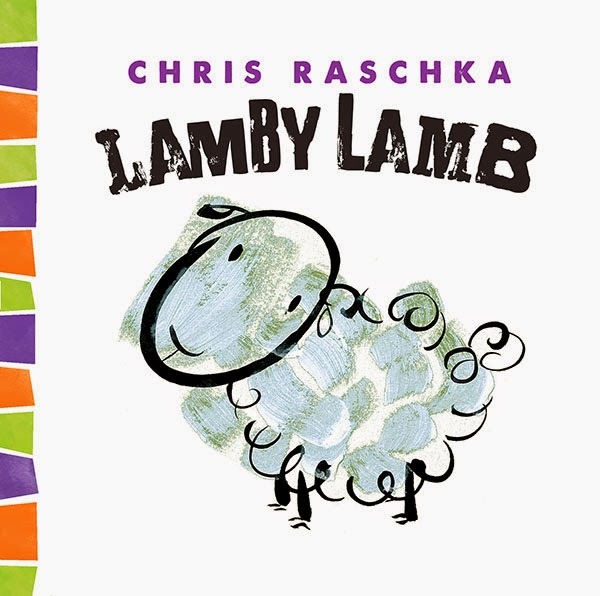 More books by Chris Raschka!